Rehan brings 20 years as a software leader encompassing diverse experiences via consulting with Accenture, delivering enterprise products for Microsoft, to most recently as SVP at Agilysys, a hospitality software company. 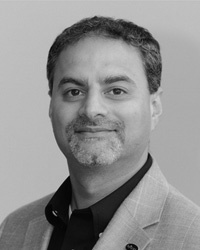 In his most recent role with Agilysys, Rehan held a technology depth role as VP of Engineering responsible for design, development and delivery of an innovative new software as a service offering, acquiring and integrating software products, as well as transforming existing product lines to scale with the business. In addition, he held the breadth role as SVP responsible for the customer experience for implementation, training and support for the suite of hospitality products. Rehan’s industry expertise includes authentication and authorization platforms, enterprise systems for desktop management, data center management and property management systems for the hospitality industry. Rehan holds a BS in Civil Engineering from University of Washington.